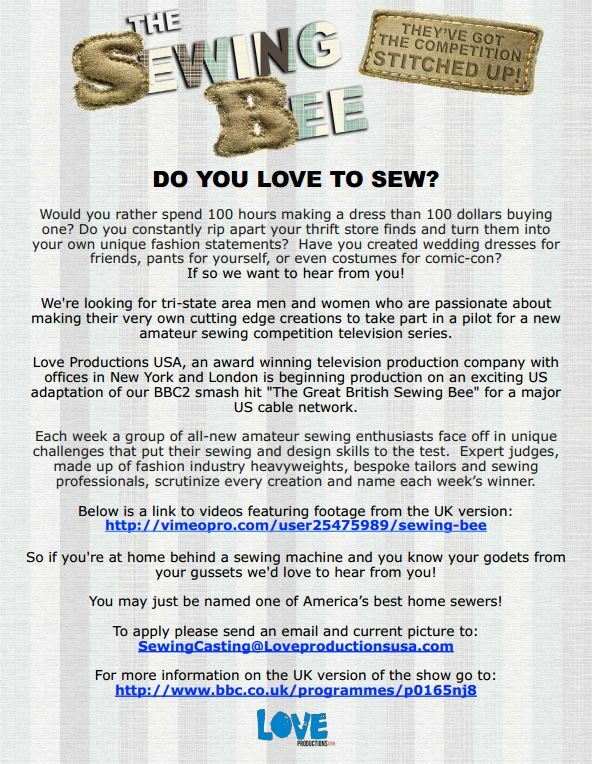 Looks like they are casting for a US version of the Great British Sewing Bee. They are looking for people in the NY Metro area which is where my mom lives! If they show is anything like the British version I think she’d do great.